Here we are with a list of some free apps of iPhone which you might be looking for. These are some best apps iPhone provides us with and that completely free of charge. They are useful, less time-consuming and so very helpful in many ways and situation. No matter whether you want to communicate to a person, navigate through places, searching for things around or even compare prices, Apple app store has got it all for you. So, make sure you do not miss out these amazing apps yet having an iPhone. 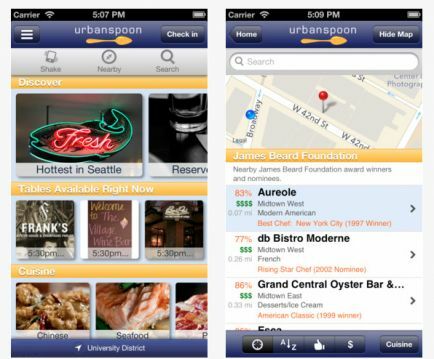 The Urbanspoon is mainly about restaurant information and of course recommendation service. This app gives you a way better searching and new dining experiences just by the click of your fingertips rather than going outside looking for new places and searching for menus according to your desire. Some of the place’s navigations are set for you to find them easily, such as nearby venues, theatre, sports etc. and reviews of people are left by which you can judge whether what to choose or what not to.